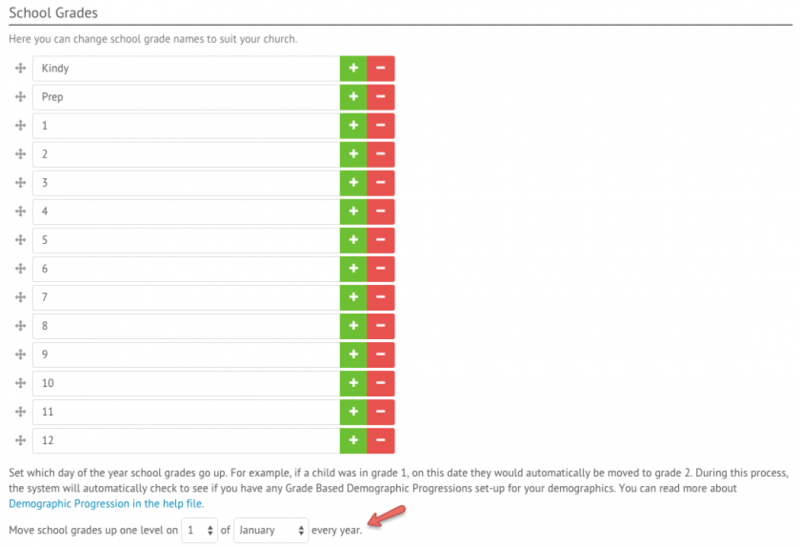 School Grades can be managed by navigating to Settings and then select People. Scroll to the bottom to find a heading marked as ‘School Grades’. Here you can add, remove and rename the list of school grades. You can also set the date your children’s School Grade information will be updated on every year.